Public bicycles are seen at a rent point in Haikou, capital of south China’s Hainan Province, Jan. 11, 2011. 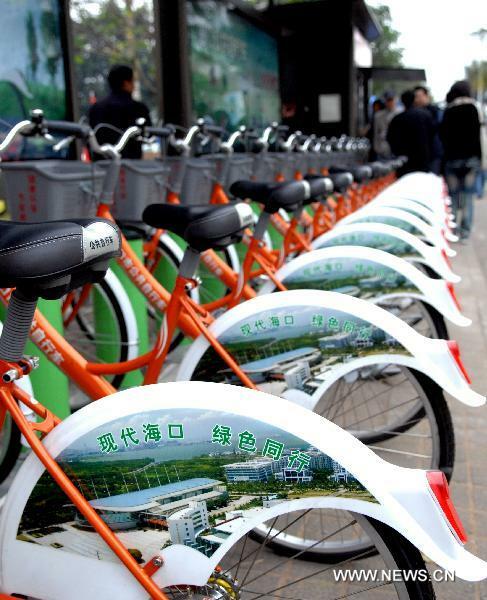 The first batch of 60 public bicycles were put into use at four pilot rent points in Haikou on Tuesday, amid a plan of putting 20,000 bicycles at 1,000 rent points around the city in an effort to enhance a low-carbon lifestyle. 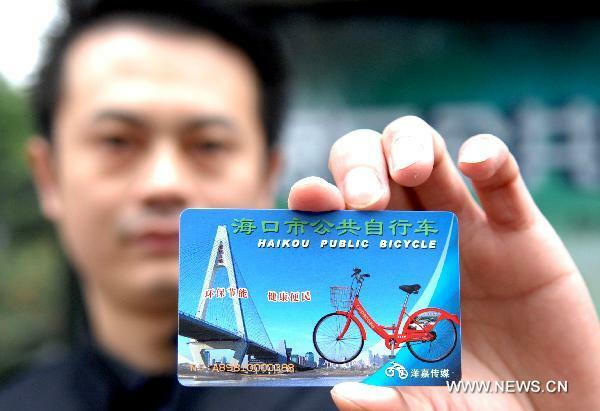 A staff presents a public bicycle card in Haikou, capital of south China’s Hainan Province, Jan. 11, 2011.